Jose Mourinho was left frustrated as Arsenal rescued a late 1-1 draw at Manchester United, while Yaya Toure was back in Pep Guardiola's good books with a brace in Manchester City's 2-1 win at Crystal Palace on Saturday. Olivier Giroud converted Arsenal's first effort on target in the 89th minute to salvage a point for Arsene Wenger's side after Juan Mata's 69th-minute strike looked to have earned United a much-needed win. Arsenal remain without a league win at Old Trafford in 10 years and Wenger has still not beaten Mourinho in the league in 12 attempts. But this was a draw that will have felt like a win for the Frenchman, particularly after Mourinho provocatively cited his 12-year wait for a league title in the build-up to the game. "They could not be Arsenal the way they normally play football. 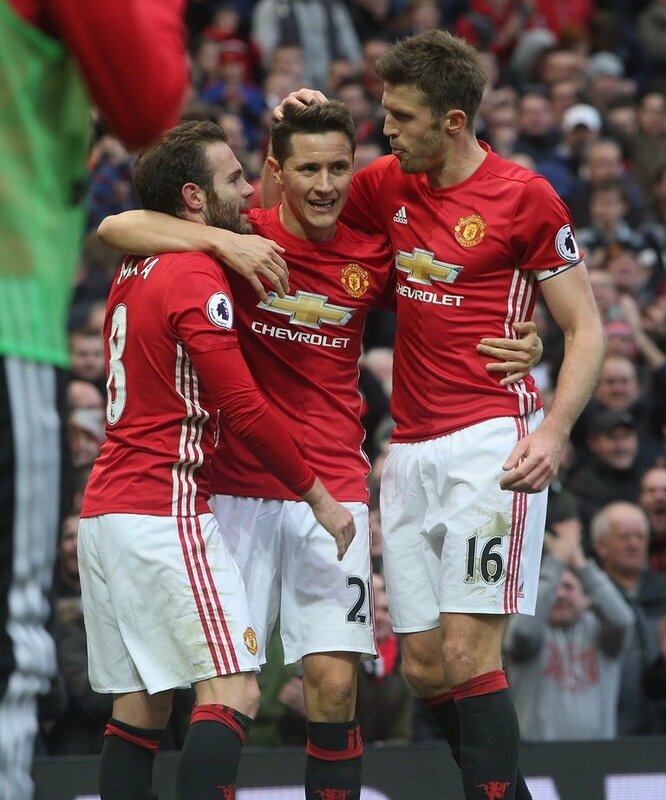 We were phenomenal defensively," Mourinho said, after Giroud's thumping header extended Arsenal's unbeaten run to 17 games in all competitions and left United with just two wins from their last nine league fixtures. "They are the lucky ones and we are the unlucky ones. This team at the moment is the unluckiest team in the Premier League. That is the reality." Wenger, an old foe of the Portuguese, added: "The result in the end is positive for us because we were 1-0 down with two minutes to go. "We lacked a bit of sharpness today. What is it down to? I don't know, but at least we came back." Out-of-favour Toure's only previous appearance since Guardiola's appointment as City manager came in a Champions League qualifier against Steaua Bucharest in August. But he was given a first Premier League start this term after he apologised to Guardiola for "misunderstandings of the past" and the Ivory Coast midfielder made up for lost time as he put City ahead with a powerful strike from inside the penalty area in the 39th minute. City, who lost injury-prone defender Vincent Kompany with a first-half head injury, conceded a 66th-minute equaliser when Palace striker Connor Wickham beat a weak attempted save by Claudio Bravo. Guardiola's men hit back to grab the winner in the 83rd minute as Toure slotted home following confusion in the Palace defence. "I always want to improve my game. I was prepared mentally and I knew that one day my manager would need me. You must always stay professional," Toure said. Toure's heroics lifted City to second place and they are behind leaders Liverpool only on goals scored after the Reds had to settle for a 0-0 draw at Southampton. Liverpool had made their best start for eight years, sparking talk of a first title since 1990, but Jurgen Klopp's side were unable to convert a host of chances. Harry Kane inspired a dramatic Tottenham fightback as the England striker's late double sealed a 3-2 win over West Ham. Michail Antonio gave West Ham a 24th minute lead before Harry Winks equalised with his first Tottenham goal in the 51st minute. Manuel Lanzini scored a 68th minute penalty for the Hammers, but Kane equalised after 89 minutes and then smashed in a stoppage-time spot-kick. West Ham had Winston Reid sent off for an elbow on Kane in the final moments as Tottenham's unbeaten run extended to 12 matches. Swansea were denied a first win under boss Bob Bradley as Everton left it late to earn a 1-1 draw at Goodison Park. Sunderland maintained their recent revival with a 3-0 victory over fellow strugglers Hull in a match interrupted by floodlight failure. David Moyes's side went in front through Jermain Defoe's 150th Premier League goal in the 34th minute. At the Stadium of Light, of all venues, floodlight problems early in the second half forced a 10-minute halt in play. 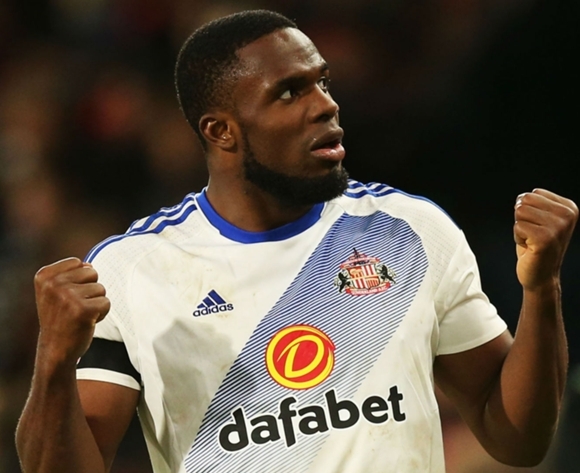 When the light was restored, Victor Anichebe illuminated the afternoon for Sunderland with goals in the 62nd and 84th minutes to seal a second consecutive win for the Black Cats, who had Papy Djilobodji sent off in the closing moments. Bournemouth won 1-0 at Stoke, with Nathan Ake scoring with a 26th-minute header before Stoke forward Bojan Krkic hit the crossbar with a second half penalty. Leicester's dismal defence of the title shows no signs of improving as they were beaten 2-1 at Watford. Etienne Capoue volleyed Watford ahead after 32 seconds and Roberto Pereyra doubled their lead in the 12th minute. Leicester reduced the deficit through a Riyad Mahrez penalty following Miguel Britos's foul on Jamie Vardy. Victor Anichebe scored for the second straight game as Sunderland rose above the bottom of the Premier League table after a 3-0 win over Hull City today. Sunderland now have eight points from 12 matches, two points ahead of Swansea City. Hull City are third from bottom on 10 points. Nigeria striker Anichebe doubled Sunderland lead after 62 minutes. He then made it 3-0 for the home six minutes from time, when he blasted home from inside the box. It was a confidence-boosting win for Sunderland, who are next away to league leaders Liverpool on Saturday.